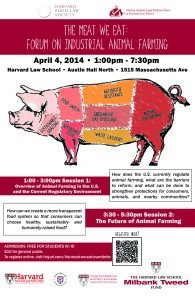 The Food Law and Policy Clinic co-hosted the Harvard Law School forum: The Meat We Eat: 2014 Forum on Industrial Animal Farming on April 4, 2014. 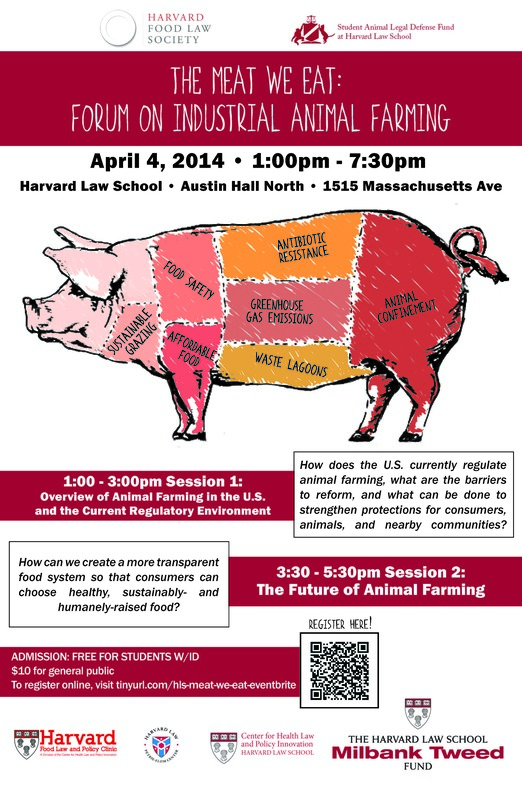 Harvard Law Today featured a news article about the forum where you can read more about the event and view videos of the forum sessions. 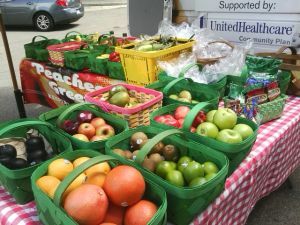 “The two main challenges for mobile food vendors are permits and costs, Broad Leib said. ‘In a lot of cities, mobile vendors are not allowed,’ she said. A permit for operating a produce cart simply doesn’t exist and the majority of people don’t know how to apply for a variance. Cities that streamline the permitting process and reduce permit fees will reap the benefits of mobile food vendors, she added. Center for Health Law & Policy Innovation staff Sarah Downer, Maggie Morgan, and Malinda Ellwood conducted a webinar on how we can improve health outcomes and lower health care costs by recognizing the vital link between access to nutritious food and health. The link between obesity and debilitating chronic illness is well-established, but access to healthy food remains problematic for many suffering from chronic illness. 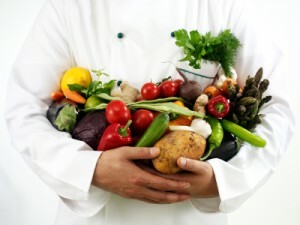 Healthy food is a key care component in handling an individual’s overall health, especially when managing diabetes. For these individuals, food is medicine. Low income populations often bear a disproportionate burden of chronic disease. There are significant benefits to be realized by incorporating healthy food in a medical treatment plan, both in terms of improved health outcomes and significant cost savings to insurers. Co-sponsors the National Network of Public Health Institutes (NNPHI), the Bristol-Myers Squibb Foundation, and Center for Health Law and Policy Innovation Thursday, held the Dialogue4Health webinar, “Food is Medicine: Integrating Food Programs into Health Care.” Discussion focused on how incorporating food-based interventions into health care can improve patient outcomes while dramatically reducing public and private insurer cost.